The floating steel ball trick is a great way to appear like an expert magician with minimum effort. When the magic of the trick is revealed, you will get a good laugh from your audience as they discover the secret to this very simple trick. 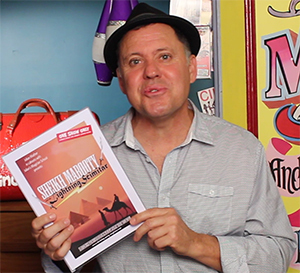 This Misdirection Lesson will teach you an important lesson in the usefulness of misdirection. You will perform misdirection by teaching your audience about misdirection … if that makes sense. You will get what I’m trying to say by watching the video. 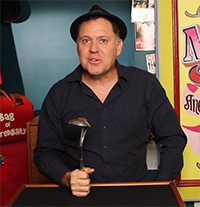 The card stab trick or ‘mid-air’ card stab as it’s also know has multiple variations by so many well known magicians. The premise is a card is picked from the deck by a selected audience member. The card is then returned and shuffled so it is lost in the rest of the deck. 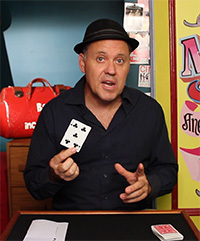 The magician is blindfolded and takes a sharp knife and plunges into the deck of cards and as it is sprung into the air, the audience member’s card is seen to be skewered to the magician’s knife. There are many variations, some of which include blindfolds, no blindfolds, knives, swords or skewers. 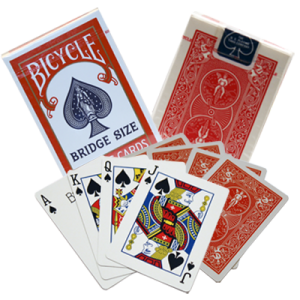 Sometimes the cards are spread across the top of a table and the knife is plunged into the pile of cards. The cards that remained are taken away until one card remains, the chosen card that is pinned to the tabletop. The appearing wand magic trick is a great magic trick for a younger child or anyone starting out with magic. If you are able to count to seven you will be able to present this trick. You will still be able to do the magic trick without being able to count that far, but the thrill won’t be as big. This version is self designed using magic wands. If you are talking about the most recognized magic symbols out there, a wand would be in that conversation. Children love it when they believe they can make a magic wand appear and disappear.